Today marks the 77th anniversary of the day the United States was suddenly and deliberately attacked the Empire of Japan and the United States would never be the same. We remember those brave men and women that died that fateful day. 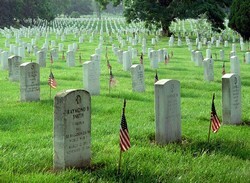 And we honor those that survived and fought on to defend the United States, freedom and liberty. The reprehensible and treacherous sneak act unified a country and awoke a sleeping giant that provided the resolve to win a war against the evil Axis. It was that resolve, leadership and focus on the enemy that enabled the United States and its Allies to victory. God bless all those who lost their lives on that fateful day. With the recent passing of President George H.W. Bush we were reminded that those of the Greatest Generation are leaving us. We remember them fondly. The Greatest Generation was asked to save the world, AND THEY DID! We give thanks, praise and remember those from Our Greatest generation who made the ultimate sacrifice 76 years ago today. 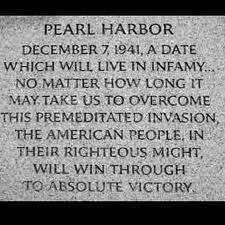 The Japanese did in fact awaken a sleeping giant and America showed its great resolve. 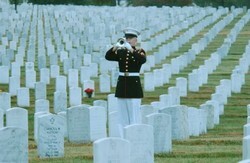 THANK YOU TO THE GREATEST GENERATION! During President Donald Trump’s speech at the 2018 Commencement at the U.S. Naval Academy, he made one thing perfectly clear, “America Is Back!” Gone are the days of America apologizing to anyone President Trump stated. Which is a direct slap back at former president Obama. President Donald Trump stayed after his speech and congratulated every Naval Academy graduate, go to 2:01:00 in full video below. It was a personal touch provided by President Trump, where you could tell he was proud to shake the hands of the Naval graduates. Yes, America is back!!! 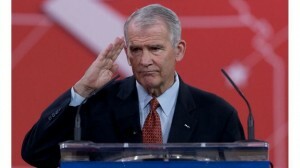 The NRA Board acted quickly to begin the process for North to become President, after former NRA President Pete Brownell announced this morning that, in order to devote his full time and energy to his family business, he had decided not to seek election to a second term. In his letter to the Board, Brownell wholeheartedly endorsed North for President. Just curious, what is wrong with a little patriotism? In a January 18, 2018 meeting President Donald Trump expressed his wish to hold a military parade like the one he witnessed in France with President Macron on Bastille Day. The NY Times reported that Mr. Trump said he told President Emmanuel Macron of France that he was considering the idea of a similar spectacle in the United States. But the liberal MSM appears to be against such a parade. However, as you will learn to borrow a phrase from John Kerry … The LEFT for for it before they were against it. However, Democrats and their liberal media hacks scoffed and made fun of the idea making reference to Trump as a dictator. On MSNBC’s the Morning Schmo, Mika and Joe said that countries like the Soviet Union and North Korea do things like this. They called it autocratic, among other derogatory things. Imagine that. But I thought liberals like the French? BUT THE LIBERAL MEDIA HAD NO ISSUES WHEN DEMOCRAT SENATOR CHUCKY SCHUMER OF NEW YORK CALLED FOR A MILITARY PARADE IN 2014. Where was the criticism and outrage from the LEFT then? It all goes back to the LEFT’s never ending attacks on President Trump no matter what. Even when the LEFT has said the same thing. What, does the Left not understand there is this thing called Google and other search engines that record all that they say and folks that take the time to find out the truth? Once again Schumer and the LEFT look like the frauds they truly are. Democratic Rep. Jackie Speier called Trump’s idea of a military parade “authoritarian,” while Sen. Sheldon Whitehouse compared the practice to something that would be done by North Korea. But in 2014, Schumer suggested that New York’s Ticker Tape Parade be used to honor the military. “Now as military operations in Afghanistan draw to a close, some are calling for the Ticker Tape Parade to honor those who fought in the war on terror,” a reporter explained in a video posted to YouTube.